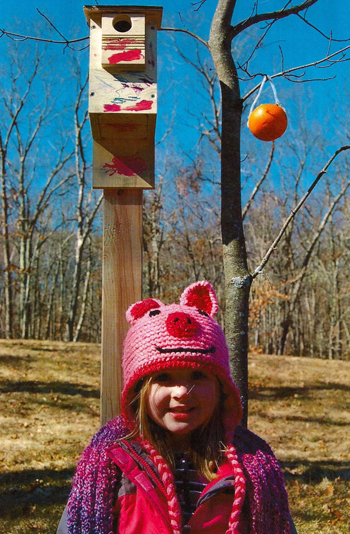 Noah Ventola’s four-year-old daughter, Madelyn, knows her chickadees from her nuthatches. But her first bird was a bluebird, and that is where this story begins. From there, Maddy’s interest in birds and the outdoors blossomed. The family put up birdfeeders and they purchased a Connecticut bird book. The products generated by this “one-man woodworking shop” are growing in popularity. 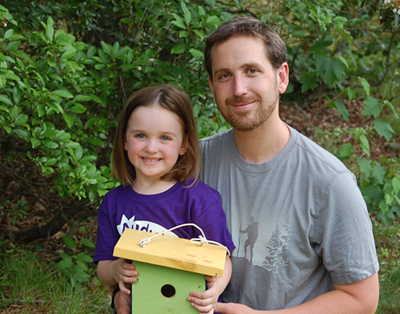 Last spring, Noah’s local public radio station, WNPR in Hartford, offered the Ultimate Kids nestbox kit as one of its spring fund drive gifts—bringing the fruits of his inspiration full circle. Check out the Ultimate Kids birdhouse kit at www.ultimate-kids.com. The birdhouse will attract a variety of small birds, including chickadees, wrens, and Tufted Titmice.